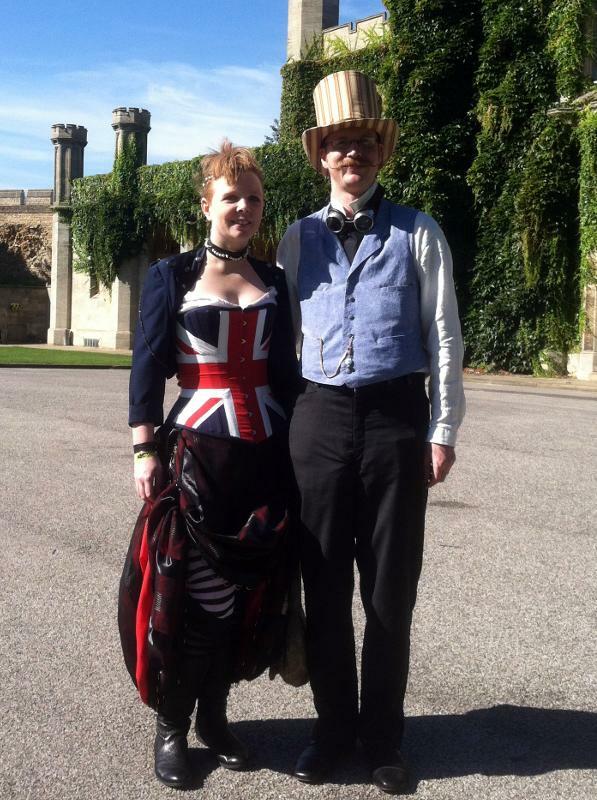 My wife and I attended the Steampunk Asylum in Lincoln, UK. It was amazing, and so much fun to see so many people dressed in outstanding outfits. I always hesitate to use the word "costume" since, at least in regards to strictly Victorian clothing, this is what people actually wore, and not a costume at all. I know steampunk can get a little costume-y, but I still like to use the word "outfit" instead. 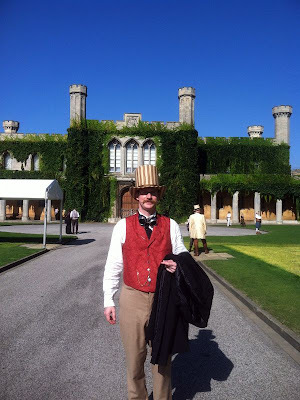 In any case, the weather was remarkably warm for an English September, and I sweat through everything because of course I insisted on wearing my frock coat and top hat as I climbed up Steep Hill. And believe you me, the name of that street is well earned! There's nothing like a steep cobblestone street to get the costume wilting. In any case, I was wearing the shirt and trousers I made for this blog. The collar and cuffs didn't get quite as starched as I would have liked, and I might make them over again without the interior, heavier linen interlining. They just felt bulky to me, but at least they still looked good. Apart from the goggles, I was really more "Victorian" than "Steampunk" which is something I struggle with. I really like the steampunk aesthetic, but I have a hard time finding an outfit that works for me. My wife, on the other hand, chose to take an almost literal interpretation, and went for a Victorian take on 70's London punk. The corset you've seen in a previous post; I also made the bell skirt and the leather choker with steel spikes and pearls. Did you end up remaking the cuffs? I've just found your site because I was searching for Victorian cuff buttons as I'm researching the pins that fastened them. It's great to see a tailor get on line and share his projects.